BREAKING News Out Of NASA.... LOOK AT THEIR NEW INVENTION! AMAZING! BREAKING News Out Of NASA…. LOOK AT THEIR NEW INVENTION! AMAZING! A newly funded NASA project has the goal of developing robotic bees to explore the surface of Mars. The project, dubbed “Marsbees” will help the space agency get around the red planet by air as opposed to the slow moving land robot, the Mars Curiosity Rover. Dr. Chang-kwon Kang, an aerospace engineer at the University of Alabama, Huntsville and one of the researchers behind the initiative, said these “robotic flapping wing flyers of a bumblebee size” could “significantly enhance the Mars exploration mission.” The tiny robots would be fitted with sensors and wireless communication devices and would use a Mars rover like Nasa’s Curiosity as a charging point. Because the rocky landscape on Mars is hard on the Mars rover wheels, NASA researchers are funding ways to explore the Red Planet by taking robotics to fly there instead. “Our preliminary numerical results suggest that a bumblebee with a cicada wing can generate sufficient lift to hover in the Martian atmosphere,” writes Chang-kwon Kang. The Marsbee robots, on the other hand, could travel quickly across the planet’s surface, beaming information back to the rover, which would also act as the main communication center. Preliminary results from Dr. Kang and his team at the University of Alabama suggest their robots’ insect-like design would allow them to hover in the Martian atmosphere, even though it is far thinner than the one found on Earth. According to The Independent, the Marsbees will be equipped with oversized wings that should provide the lift required to stay aloft above the planet’s surface. A team in Japan will develop and test the “micro flapping robots”, while Dr. Kang and his colleagues back in the US will model, analyze, and optimize them. 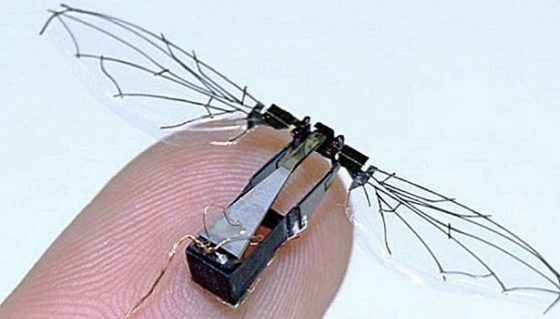 The Japanese roboticists have already produced the hummingbird micro air vehicle, one of the few “robotic flappers” capable of flying on Earth. This isn’t the first time robot bees have been suggested as a solution. In early 2017, scientists discussed using robot bees to help organic bees pollinate crops because of their population decline. Of course, as with all robotic advancements, with great technology comes great responsibility. The fears of AI are already brewing and with robots likely becoming more technologically advanced in the coming year, those fears are certainly valid.